> General News > Mulago hospital staff to foot own utility bills. Mulago hospital staff to foot own utility bills. 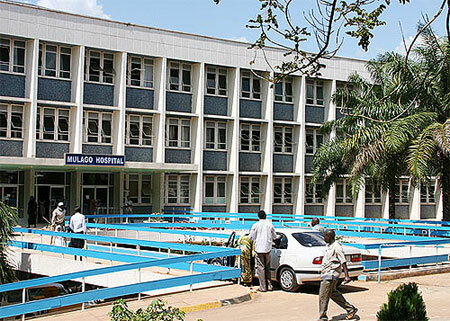 Workers at Kampala-based Mulago hospital will start paying their own utility bills due to a hefty sh7.5billion the hospital has accumulated in unpaid bills, the hospital director has revealed. The development will affect bills starting with those accumulated by the hospital staff last month. Other fees are for the staff quarters, medical school, paramedical schools, Nursing training schools, Tutors College, TASO, MUJU and others, which are all in the Mulago vicinity. The hospital’s executive director said the measures are taken to avoid being disconnected since the hospital needs power to cater for the patients. “We can’t continue diverting money meant to cater for utilities consumed by patients to paying for other things. It is not sustainable,” he said. According to the director, national water and electricity providers, NWSC and Umeme, respectively, will each install individual meters for the consumers [staff] and remove them from the main meter of the hospital. The move will ensure that staff quarters do not get free water and electricity as has been in the past. “Every year we get bills totaling to sh3billion for both water and electricity,” Byarugaba said. Since July this year, the staff quarters have been disconnected from electricity supply. Byarugaba claimed that the past leadership has been accumulating the unsettled arrears. He said ministry of education and sports in charge of the paramedical schools should pay for the training facilities. He observed said that some medical staff have been misusing the utilities by running side businesses like bakeries and bars on the electricity meant for hospital consumption. “Cutting them off and leaving them to meet their own costs is the only way we can solve the problem,” he believes.